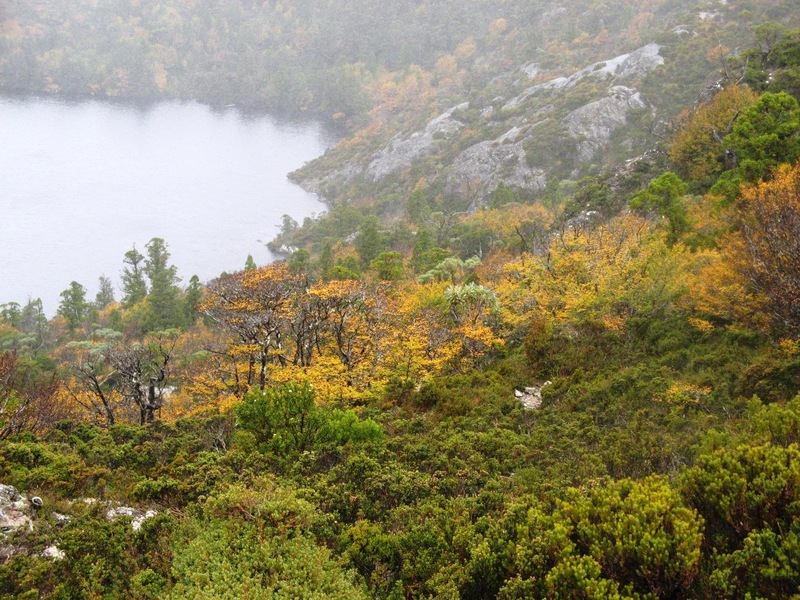 We planned this trip to Tasmania’s Cradle Mountain area to view the Fagus – Nothofagus gunnii – Australia’s only winter-deciduous tree, several months ago. It was with some trepidation, hoping our timing was right, and we would get to see the autumn spectacular in it’s full glory. We were rewarded by some inspiring scenery and magnificent vistas. 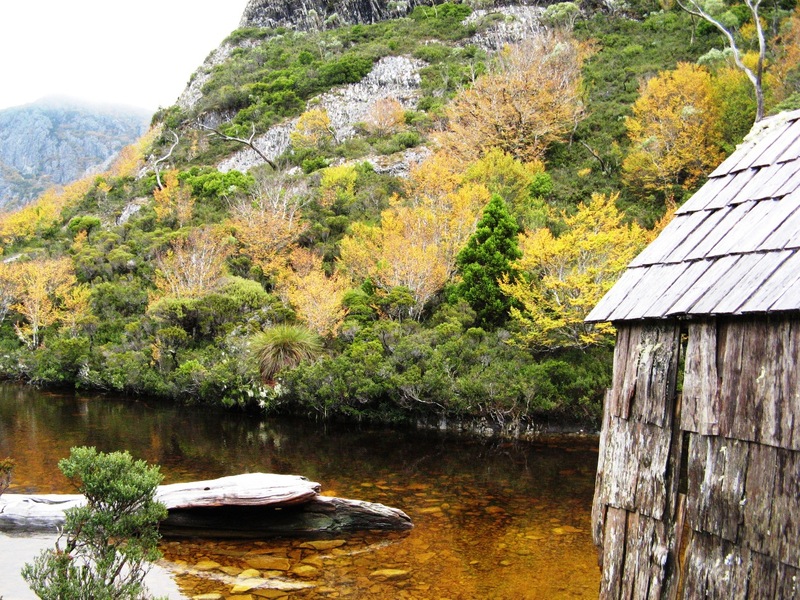 The images below are just a snapshot of a terrific weekend around Lake Hanson, Twisted Lakes, Cradle Mountain and Dove Lake. It was great fun and fantastic to be back in the bush after a long break. We ended up “wild” camping just outside the Park. 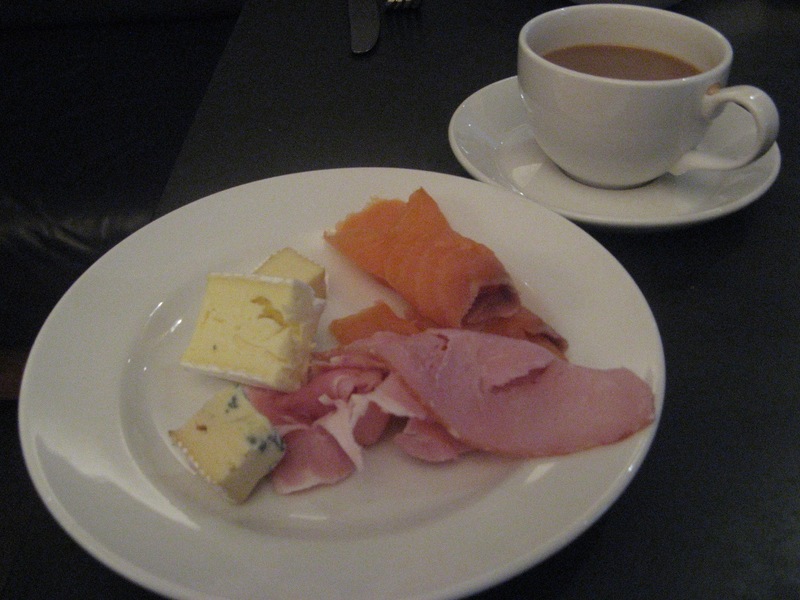 As we had saved a camping ground fee, breakfast at Cradle Mountain Lodge was the reward ($24.50 per person) The image above is Frank’s fourth (or fifth) “tasting plate”. We love the Lodge and highly recommend the breakfast. 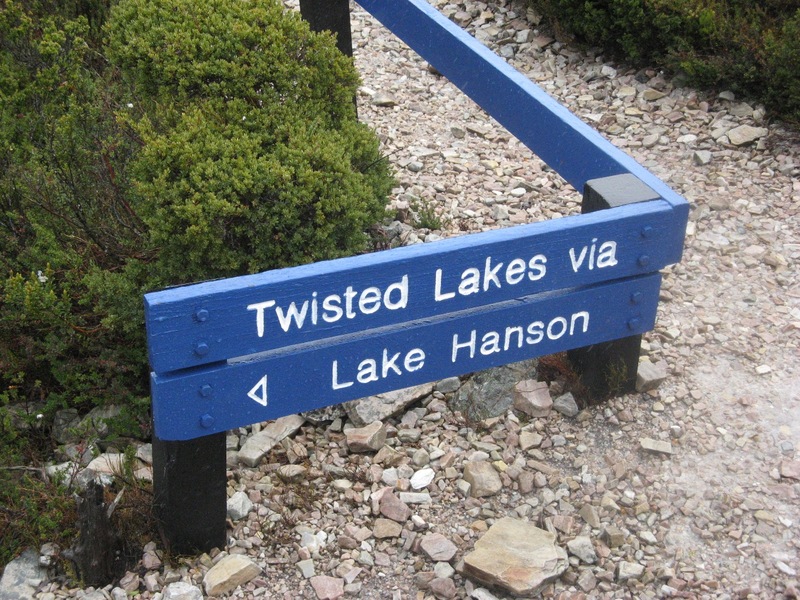 After organising Parks passes and getting the shuttle to Dove Lake, we headed up to Lake Hanson. 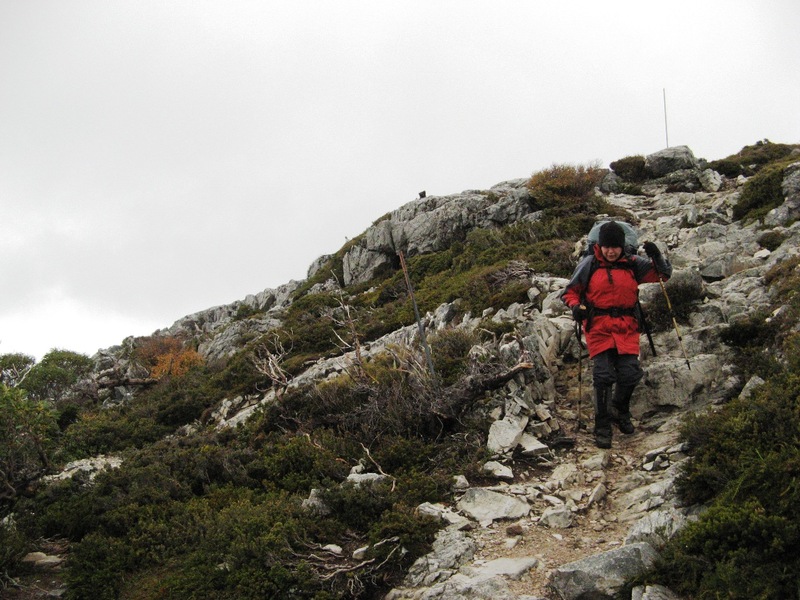 There is a bit of a scramble as you reach the top and junction to Hanson’s Peak. 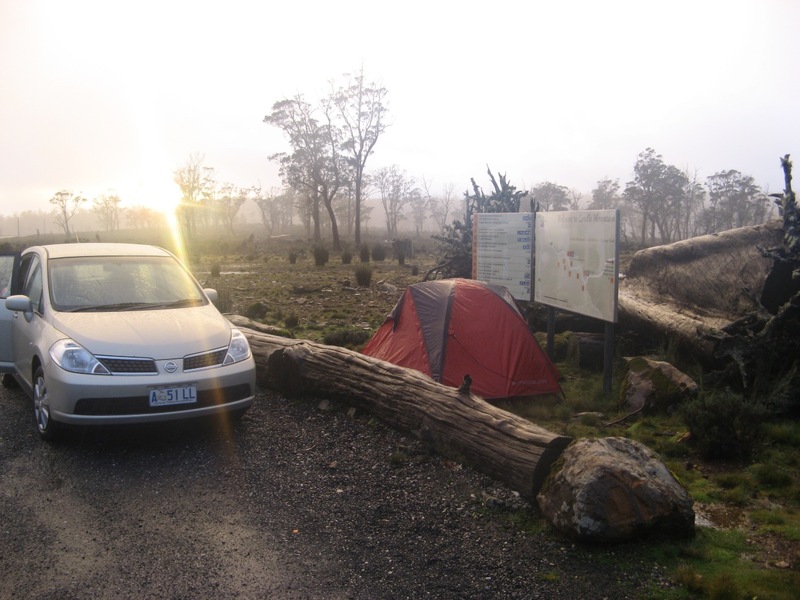 We enjoyed a terrific night at Scott Kilvett hut (video to follow) and headed out “early” to the Overland Track / Lake Rodway junction. 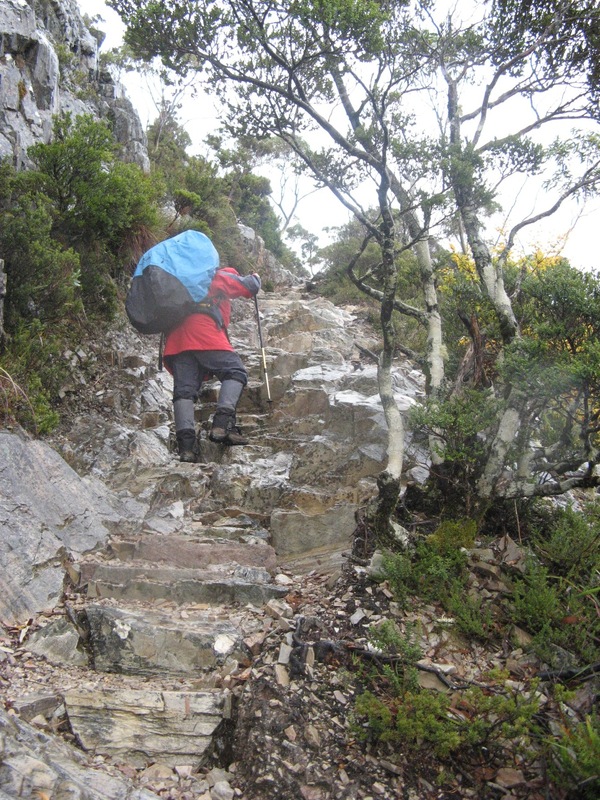 This is a “bit of a grunt” and eventually we hit the Overland Track and headed back to Marion’s Lookout into a freezing head wind. 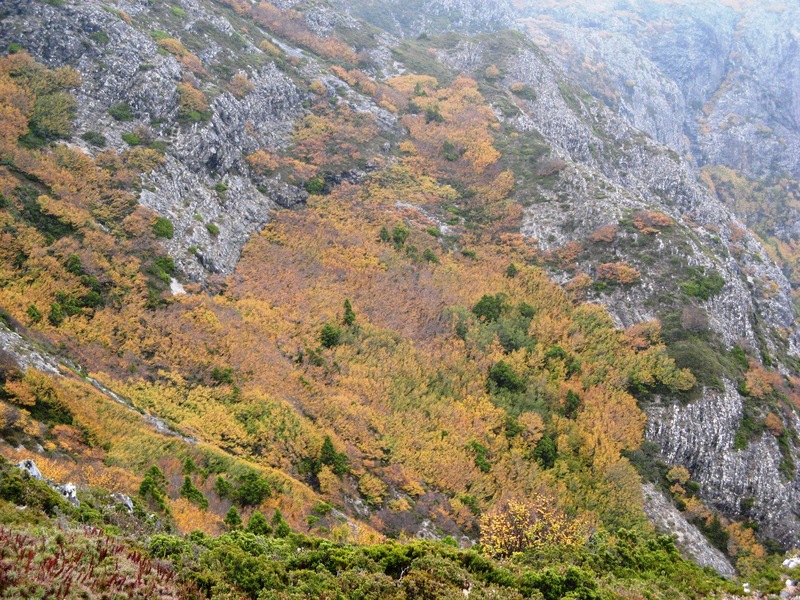 The Fagus on this side of Cradle Mountain was less spectacular, as much of the leaf cover had been stripped by the wind. Following a very chilly trip across the Cradle Plateau and a quick lunch break at Kitchen Hut we hit the new super highway that is under construction to Marion’s Lookout. We are talking HUGE sections of timber walking “track” that almost extend across the whole plateau. The view from Marion’s was mist obstructed but it was a relief to get out of the biting wind. Sue headed down Marion’s like a trooper and nailed it “easily”. 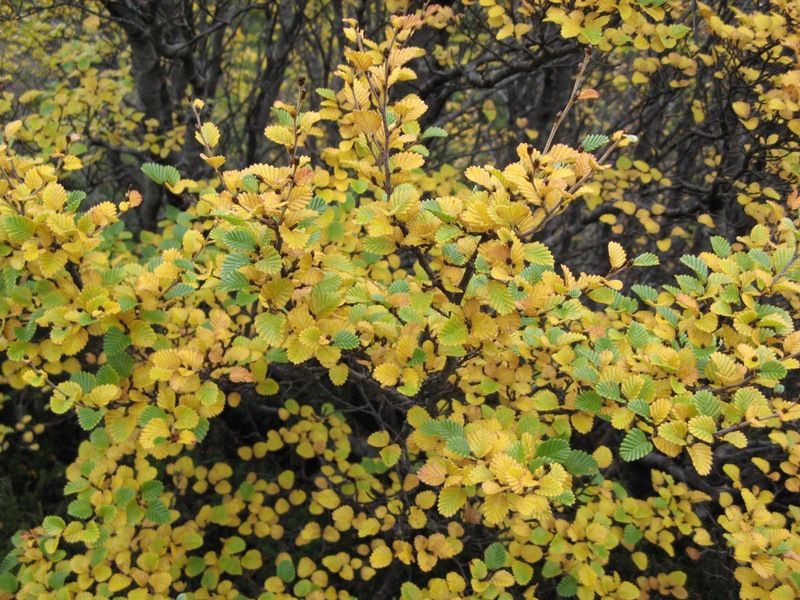 Thankfully, the fagus around Crater Lake was spectacular and it distracted both of us. Sorry about the quality of the images, there was low cloud and very high humidity. we always meet great people when we are hiking – more to come in the future on that! we are about 30% slower than the signposted estimates, but what’s the rush? as good as a trip can be, unpacking, drying gear, re-storing and going back to work is a bloody pain. never rely on airlines to be on time – we were delayed in Launceston for THREE hours by fog in Newcastle earlier that day. Good on you Georgie, Sue was a trooper and got down there without too much stress (we think it is her third time now) It is not the angle, it is the “drop offs” on the side and the really slippery rocks that feed her reluctance. She is such a gad about, off to Hobart this weekend with a few mates to check out the Salamanca Market! 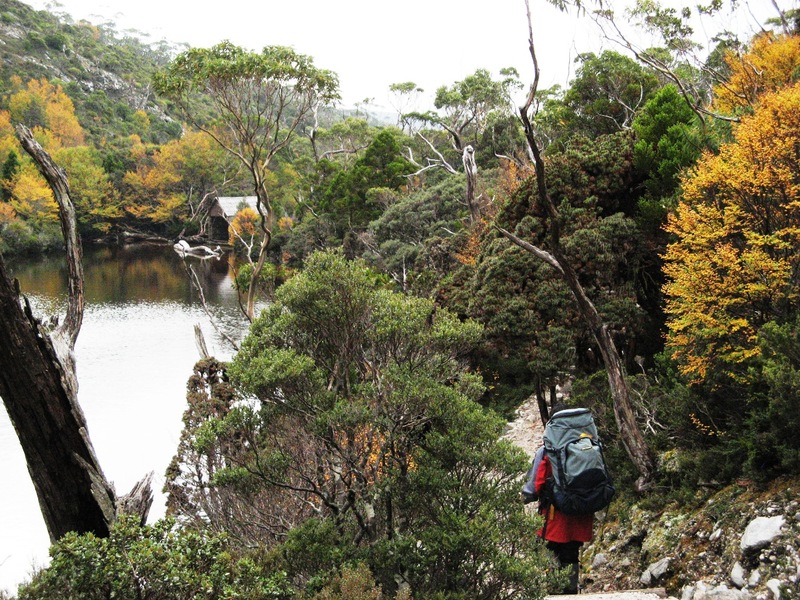 btw, we will get your Overland Track post up soooooon! I love the oranges in the photos. And mizzle – never heard of it before – will use to all the time from now on! Thanks Gwen. We were not that happy with the photographs, the “mizzle” (as I am sure you have worked out, is a cross between drizzle and mist) just would not lift. On the rare occasion the sun peeked out, the colours were spectacular! Just wait until tomorrow, a very special treat!